Admission is $8 for Adults & $4 for Children. Join us September 8th and 9th, 2018 for our Fall Civil War Encampment and Skirmish to raise funds to install a fire alarm in our new post and beam classroom/event barn, currently under construction. 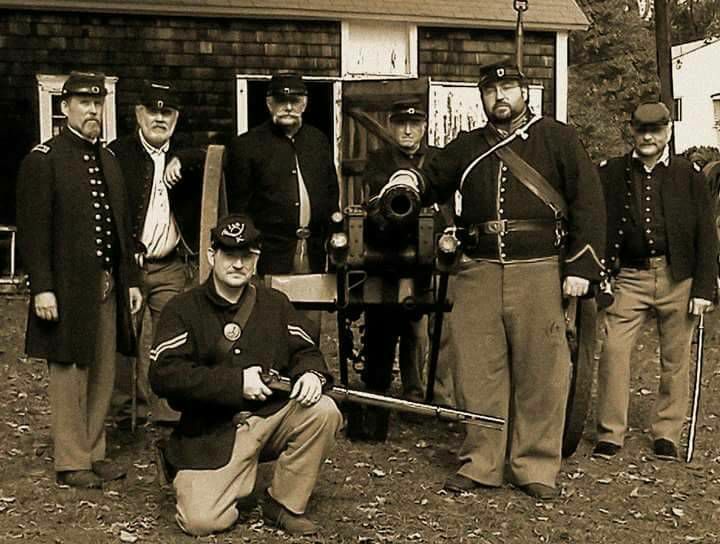 The event will feature authentic Civil War era civilian military camps, cannon and musket demonstrations, skirmishes and an afternoon battle, period music, and lectures and presentations from local historians and the Sons of Union Veterans of the Civil War. Currently, the General Nathanael Greene Homestead Association is interviewing for 2018 volunteer museum docents and volunteer visitor center monitors. For further information, please email the Nathanael Greene Homestead Association. Admission is $8.00 for adults and $4.00 for children. 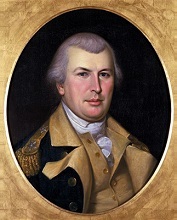 Nathanael Greene was born at the Forge Grist Mill in Potowomut, Warwick R.I., July 27, 1742, to Nathanael a preacher in the Society of Friends and Mary (Mott) Greene. Nathanael Jr. and his brothers were trained by their father as ironmasters. The family business at the forge prospered and this led to the establishment of a second ironworks in Coventry, ten miles from the Potowomut forge on the south branch of the Pawtuxet River. This business grew and by 1768 over 100 families lived in the vicinity of their Coventry forge. Nathanael made his home at the Coventry forge in 1770 and ran the family business. A setback occurred in 1772 when a fire destroyed the Coventry forge. Although efforts to rebuild were slow, the forge was eventually rebuilt. Today there is no evidence of a forge. An avid reader since boyhood, Nathanael actually had no formal education. Nathanael believed that a war was inevitable between the colonists and the mother country, Britain. Because of this concern, he joined in the establishment of the Kentish Guards of East Greenwich. This military unit, organized by charter of the Rhode Island General Assembly, was trained by a British sergeant, a deserter, who Nathanael had persuaded to join the colonists' cause. On the evening of April 19, 1775, news of the British attack at Lexington reached Nathanael. Realizing the gravity of the situation, Greene mounted his horse and rode to East Greenwich where he joined other members of the Kentish Guard and marched onward to Boston. Soon after, the Rhode Island general Assembly appointed Greene, General of the Army of Observation. With a portion of this force, he joined the American troops besieging Boston. Six weeks later, Congress appointed Greene Brigadier General of the Continental Army. Later, he was named Major General. 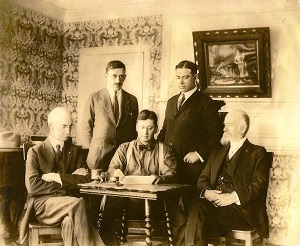 After the war ended, the Greenes faced with enormous debts incurred during the war from the letter of credit Nathanael had received to provide money for provisions for his troops. An agent sent to purchase the provisions absconded with the funds. The provisions had to be provided, so Greene pledged repayment expecting Congress to compensate him. The creditors' demands for reimbursements obliged the General to sell some properties. Congress did vote the funds but it was not until 1792 several years after Greene's death, that the matter was finally resolved. In 1783, General Greene's family moved from Coventry to Newport for a brief time and then to Mulberry Grove. 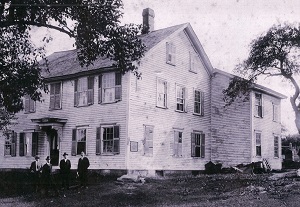 The Homestead in Coventry was signed over to his brother Jacob. 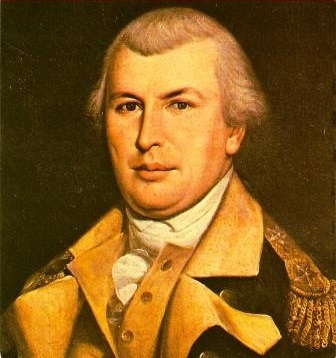 In 1786, General Greene died of sunstroke while riding through his plantation. He was buried in the colonial cemetery of Christ Episcopal Church in the Graham vault in Savannah, Georgia. Later his remains were removed from the cemetery and re-interred in Johnson Square, Savannah Georgia. Katharine or sometimes Catherine with a nickname of Caty was born Katharine Littlefield, the 3rd child and first daughter of John and Phoebe (Ray) Littlefield on the Island of New Shoreham now known as Block Island on December 17, 1753. Katharine or sometimes Catherine with a nickname of Caty was born Katharine Littlefield, the 3rd child and first daughter of John and Phoebe (Ray) Littlefield on the Island of New Shoreham now known as Block Island on December 17, 1753. Little is known of her childhood but it is presumed she attended the town school and the Baptist meetinghouse. When her mother passed away, she came to live with her aunt Catherine (Ray) and uncle William who became the Governor of Rhode Island and was a third cousin of Nathanael. Under her aunt's guidance, Caty (or Kitty) learned all the social graces of her day. She was a delightful and animated woman who came to demand respect of the great men of her day by her courage and charm. In July, 1774 when she married Nathanael in her uncle's mansion on Division Street in Warwick, she was 19 and he was 32. The wedding was officiated by the Baptist minister, Elder John Gorton. Two years later in 1776, there began a succession of five children born to the Greenes. Their names were George Washington (1776), Martha Washington (1777), Cornelia Lott (1778) pictured below in a real photo taken ca. 1854, Nathanael Ray (1780) and Louisa Catharine (1784). The first winter of the Revolution when smallpox raged in Boston, Caty opened the Coventry Homestead as a hospital for soldiers recovering from the illness but four men died at the Homestead. Officers wives often visited the encampments during the winter. While staying with Nathanael the winter of 1775, Caty met the Washingtons and they became lifelong friends. Caty's witty and vivacious personality made her a popular hostess. Her ability to learn and speak French endeared her to General Lafayette. She continued to serve her countrymen by following the troops to many major battles. She was well known for her hospitality throughout the eight long years of war. 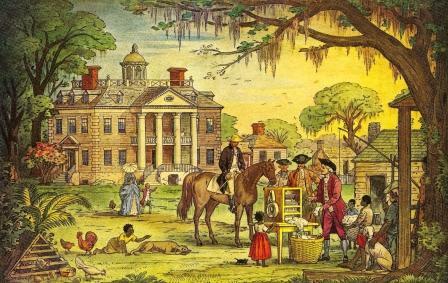 After the war they moved to their southern plantation known as Mulberry Grove. Upon the death of Nathanael in 1786, Caty was left at age 30 with five small children. 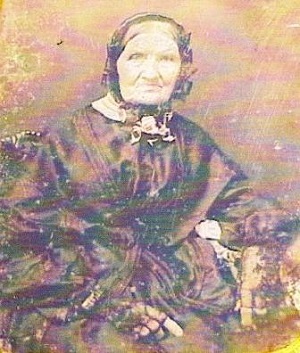 In 1790 she married for a second time to Phineas Miller who had been a tutor for the Greene children. On a return from a visit to New York, she met a man named Eli Whitney. Caty became aware of Eli's ingenuity and persuaded him to turn his talents to devising a machine that could separate the seeds from the raw cotton. In 1793 he invented the "cotton gin" which was the machine that could do this job. Whitney had financial troubles and Caty came to help him by pledging her entire financial resources. 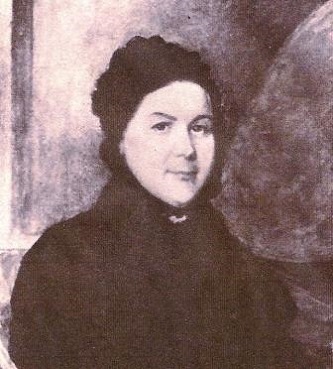 By 1800, she was forced to sell Mulberry Grove and the family relocated to a mansion known as "Dungeness" on Cumberland Island off the coast of Georgia purchased by Nathanael as a gift to Caty before his death. Caty lived as Dungeness until her death on September 2, 1814 ad age 59 years. She was buried there on her estate. 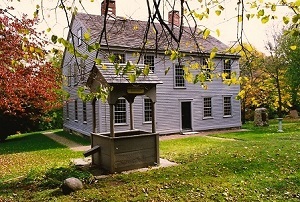 Built by Nathanael in 1770, the "Homestead" as it historically has been known, was originally called "Spell Hall" as it was indicated in one of Nathanael's letters. Built by Nathanael in 1770, the "Homestead" as it historically has been known, was originally called "Spell Hall" as it was indicated in one of Nathanael's letters. 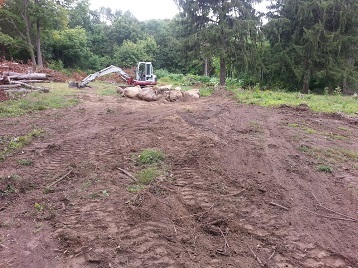 Constructed on the hillside, the site chosen for the Homestead was well sheltered on the west by natural woods. The land to the front sloped eastward as a terrace to the Pawtuxet River. Originally the house overlooked a broad area of open woodland meadow. The building is a well preserved 18th century structure of simple, yet refined design. Originally the site had 83 acres but at the time of the 1919 sale to the Homestead Association, it had been reduced to 13 acres of open space and woodlands. The 2 & 1/2 story structure is typical of it's time in design. Around the 1870's, the front door area was Victorianized with a bracketed hood and double window door. During the early 1920's, an 18th century door with appropriate trim was attached to the opening making it look as it would have in Nathanael's time. During the 1870's a fire started that burned up to the second floor in the vicinity of the door. The two main floors of the home each consist of four rooms on either side of a central hall. The rooms on the first floor are dining room, parlor, library and kitchen - each having a paneled fireplace. The completely intact interior was first restored in the early 1920's with the establishment of the building as a museum. 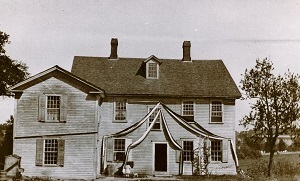 A second major restoration was accomplished in 1990 showing from then on a more correct perspective of the house when the Quaker family lived there. An extensive paint analysis was accomplished in the 1990 restoration giving now the earliest colors used throughout the 18th century home. The rooms on the second floor are what we feel they would have been there in the 18th and 19th centuries. The first bedroom on the right as you ascend the stairs might have been used by Nathanael and later his brother Jacob. The room diagonally across the hall might have been used by Jacob Varnum Greene, the son of Jacob and the bedroom on the right is decored Victorian style with wallpaper and lace curtains since the occupant, Elizabeth Margaret who was the daughter of Jacob Varnum, lived until 1899, the Victorian era. The fourth room is used now as a museum shop. When Nathanael and Caty moved from Coventry, the house was purchased by Nathanael's brother Jacob. He and his wife Peggy continued to live there until they died and the same was true of the next two generations. Upon the death of Elizabeth Margaret, the property was inherited by the children of her first marriage, Patience and Harris Inman. In 1915 the home was sold out of the family. 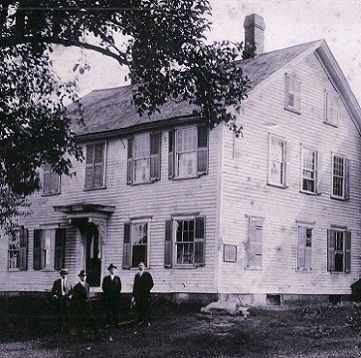 Showing great concern for the property, four members of the Kent County Chapter of the Rhode Island Sons of the American Revolution purchased the property in 1919, restored it and gave it the name we know today as the Nathanael Greene Homestead. the first caretaker, actually lived in the house but by 1935, a caretaker's cottage was built and is used to this day. Homestead - June 30, 1919, the day of purchase by the N.G. Homestead association. 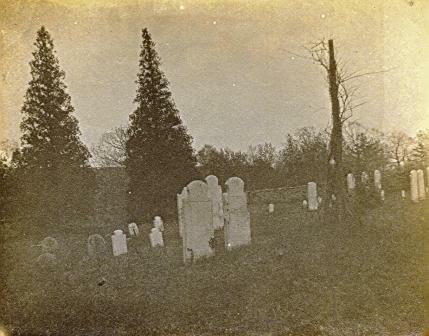 The cemetery located on the Nathanael Greene Homestead property is located down the hill from the homestead. The first internment was Miss Margaret Greene in 1786. 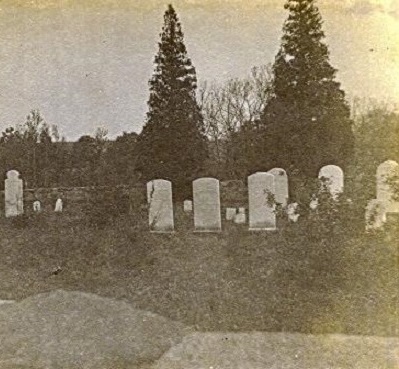 The cemetery located on the Nathanael Greene Homestead property is located down the hill from the homestead. The first internment was Miss Margaret Greene in 1786. She was the daughter of Jacob (brother of General Nathanael Greene) and Margaret Greene. Along with the 17 identified internments, there are four field stone graves identified from an 1859 Providence Journal article (Providence Journal, 1859 #27) as Revolutionary War soldiers who were being nursed for smallpox at the homestead. They died at the homestead. 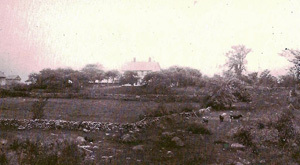 This photo and the previous one were taken in 1914 by Ethel Nichols, a young girl who lived in the village of Anthony. 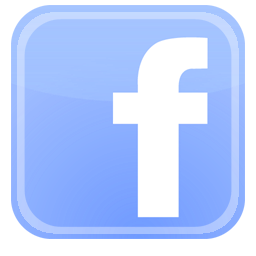 We are always looking for members to help support the Nathanael Greene Homestead. Members receive unlimited free tours of the homestead. Are you interested in becoming a volunteer museum docent or volunteer visitor center monitor? Please email us for further information. We look forward to hearing from you. The Homestead once had a beautiful colonial barn on the property. This barn was torn down when the property was sold out of the family and subdivided in the early 20th century. We need to raise $75,000 to build a replica of the barn on the remaining 11 acres of the original Homestead. This barn will be used for educational programs and special events. We need your help. Please make your donation today. The General Nathanael Greene Homestead is a National Historic Landmark located in Coventry, Rhode Island. 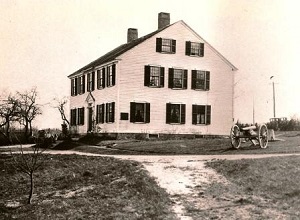 Known as Spell Hall, it was the home of Revolutionary War General Nathanael Greene from 1770 to 1783, and was owned afterwards by his brother Jacob Greene and his wife Margaret. The house is owned and operated by the General Nathanael Greene Homestead Association, a non-profit organization, and was opened as a museum in 1924.